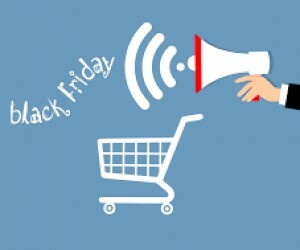 According to Google South Africa, Black Friday 2018 was a search success with the region topping the world’s charts for avid deal searching with 'Black Friday specials at Game 2018 'generating more than 150 000 search queries' mirroring the crushing wave of consumers flooding into stores on the day. But, now that the dust has settled, the question is, what changed, and why? “Retailers, banks and payment providers pushed the envelope in 2018 and customers responded. "From a product and infrastructure perspective, it seems we all came together to provide the fastest service offering and our merchants got the results they wanted." The popularity of last year's Black Friday put immense pressure on eCommerce infrastructure across the country and website after bank after online retailer went down. Consumers were frustrated, sales were hobbled and processing systems were too beleaguered to care. The South African consumer had finally woken up to the possibilities of eCommerce but the systems and retailers were caught by surprise. Retailers did not want a repeat of the disaster in 2018. 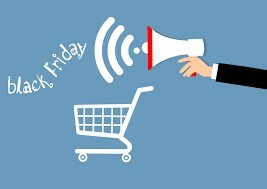 “As Black Friday 2018 approached, merchants and payment providers paid attention and they put systems in place, working closely with their internal systems and with banks and payment providers to bridge any potential gaps,” adds Nadasen. The huge increase in sales and participation for Black Friday 2017 saw PayU work closely with partners, banks, regulators, competitors and merchants to ensure robust eCommerce processing for 2018. “While there will always be individual cases for retailers and merchants on the day, overall it was incredibly successful - the biggest on record for South Africa - with the hype hitting an all-time high long before the sales started,” she adds. “Retailers recognised the importance of staying up to increase sales volumes and customer retention. Those that delivered on this promise saw impressive conversion and approval rates, those that failed to pay attention to demand, lost out,” Nadasen concluded.